There are very few people who plan for the time that they will need caregiving. 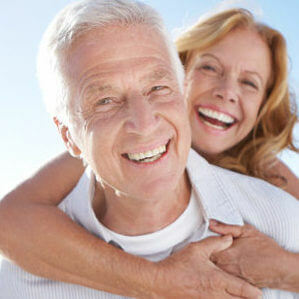 At some time in our lives we will be responsible for caring for our parents or ageing relatives and friends. From our experience most families are very poorly prepared for this role. Similarly, we have yet to encounter someone who has given consideration to the possibility of their own care. This is understandable, as we all tend to shy away from thinking about the ageing process and the ultimate outcome. So what can we do to be prepared for caregiving? The biggest issue is usually cost. Although your family may initially take on the responsibility, it is highly probable that you will at some time need to call on the services of a professional caregiver, particularly if you are determined to stay in the comfort of your home and not to be cared for in a nursing home. This involves costs that need to be panned for. You need to put a financial plan in place, which will include joining a medical aid that will pay for home care or nursing. Some medical aid plans don’t cover frail care but will pay for end of life care. Be sure that you know what your scheme and plan covers. Assess what other options suit your financial situation. This might mean, for instance, a combination of savings, retirement annuities and the liquidation of non-essential assets. Consult your financial advisor and your close family, if you feel that you need to. Either way, make sure that your partner and close family are aware of what must be done when the time comes. Finally, speak openly to you family about the emotional and practical implications and try to reach consensus on the actions that need to be taken when the time for caregiving comes. It may seem like a morbid subject but ageing is something we must face head on. Being prepared will make it much smoother and less stressful for you and your family.